There’s all sorts of advice out there about when to let go of a romantic relationship, but sadly too little out there about when it’s time to let go of a friendship. In the last few years, I have let go of a few friendships based mostly on one fact – respect. I’m no saint and there are hundreds of people who will come forward to testify to that! However, I rate respect very high in my relationships. I attempt to be respectful of the people I interact with and expect the same from them. In the past, I have attempted to carry on in friendships where respect had seized to exist, but sadly they didn’t last for long. I’ve learnt now that it’s time to issue the pink slip when I’m losing respect for someone or that they are not giving me the respect I deserve. In one case, a person who was supposed to be a friend were house guests and showed a total disrespect for my husband and I. Perhaps there are no rules for house guests, but the way I was brought up, house guests don’t sit around watching you make their beds while they read and pretend you don’t exist! Perhaps she was a little confused between a hostess and a chambermaid ;). This is just one example of the awful behavior. I was furious naturally and although I didn’t say anything, I guess my non-verbals spoke loud and clear. The worst part was when she went back and tried to pretend everything was okay. When I didn’t play along, but confronted her, she acted like she was the victim. I issued a pink slip immediately. I can no longer be authentic with this person and don’t wish to interact with them. Why am I writing about this? Because, I see this person all over the internet talk about the need for closure. Does closure mean that she gets to give me a pink slip, I wonder. So where does forgiveness feature in all this, you ask? To me forgiveness is making peace with the past. It doesn’t mean that I necessarily invite that person in to my life again. What are your views on letting a friend go? Please share you experiences and opinions. have been doing that quiet a bit Corinne and when i read this just made me feel bettter, that nothing was really wrong with me but a lot of other folks are also going thru the same. respect is crucially important as well as not being taken for granted….if we lose out on some folks in the process am sure will do us good because there are a lot others waiting to be not only frinds but combine in giving respect and affection. @cathymbeebe thankfully I’ve gotten over it – just wanted to express myself. I’m sorry to hear about the way your client is treating you. I hope you decide to do what is best for you and your business while keeping your dignity intact. I’m so glad I found you. 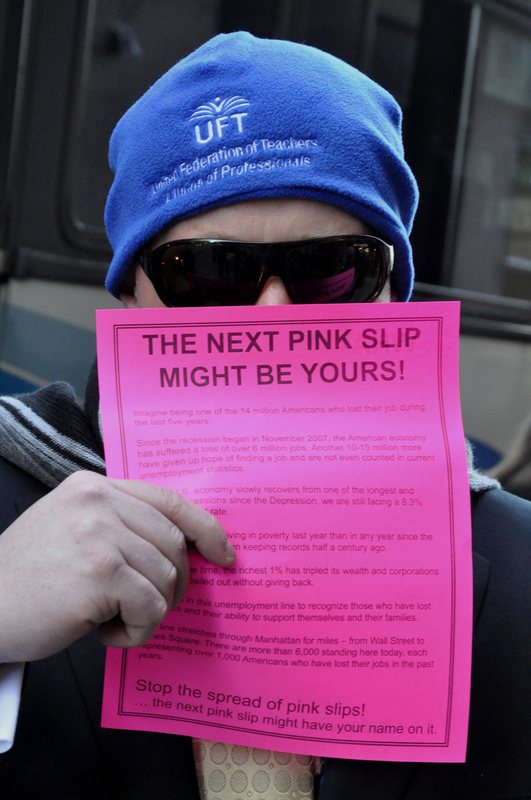 I completely agree that sometimes a pink slip has to be issued. I always issue mine with contingencies. Like “I’d love to be your friend again if you ever decide that running your mouth is a bad practice.” To use your example. Or if you could ever just apologize, I’ll be here ready to forgive. (For my “friends” who live in denial of their own imperfections.) It’s good to be kind, but part of that is being kind to yourself. Allowing people to abuse their relationship with you is not being kind to anyone. Thank you for sharing femmefrugality . I love the way you phrased responses to these ‘friends’. Kindness to oneself is a highly underrated virtue. Oh Lord Corinne, I could write a book on this topic! I am one of those types of people that has ‘sucker’ written all over my forehead. I have a super long ‘patience’ cord and I give people chance after chance. With me, I give plenty of opportunity to be respectful, correct mistakes, etc. but when I finally reach that corner and have had enough, that is it! No more, and it doesn’t matter what you say or what excuse you have, you have received your ‘pink slip’ from me. I have always been that way. Now, I won’t be hateful to that particular person, nor will I exclude them from my life (unless they request I do so), and I am friendly and courteous…but, they will no longer be included in my inner circle of thoughts, feelings, and happenings. Great post Corinne! You have my thoughts swirling, but I believe I have wrote enough for a comment LOL. @hudakcollins I would like to co-author it with you, Mary. But then you’re so much nicer, more understanding and tolerant than I am. I’m constantly learning from you – but have miles to go, dear Mary. @CorinneRodrigues Learning from me???? I smiled at you my dear Corinne 🙂 We should all take a step back at times and just reflect, if only for a second. I truly try to take a moment to understand what may make someone do the things they do, especially if it is a different response than mine. There could be many reasons, that are beyond my knowledge, that people act and respond in the manner that they do. I guess that is what makes us who we are and keeps the world interesting LOL. But, I have to say Corinne, I didn’t always feel this way. As I get older, I tend to mellow and realize that sometimes in life, the hassle and aggravation is just not worth is, and it is better just to pick your battles. Things are said or done, others take it personally and get defensive, when in fact it was said or done in general and had no personal direction to it. To me, that becomes their issue and I’m not going to be guilted into dealing with it. @hudakcollins I would like to co-author that book if I may, Mary 😉 But then you are so much nicer, kinder and tolerant than I am. I’m learning from you – but have miles to go! Dear Bella, mi amiga, I have always been open to friendship and made friends quite easily. I think I prided myself on my ‘easy-to-get-on-with’ personality. I think it was actually a strong desire to be accepted that made me so easy to get on with. It’s only in the past few years, and strangely after I got married, that I’ve started to assert myself more. And when I did that some people clearly didn’t like the fact that I actually had a voice and could use it to speak up for myself. Of course, poor Jose gets blamed as being the cause of my ‘break-ups’ but that isn’t true at all. A sense of entitlement was clearly the reason in this case (and I haven’t mentioned half of what went on!) and in some of the other friendships I’ve let go. Thank you for your love and friendship, always! Corinne, I know you have the wisdom to know you did what was best. The issue here isn’t forgiveness, but rather knowing when to hold’m and when to fold’m. As you’ve heard, some friends are for a season, some for a reason. Showing disrespect is just unacceptable, friend or not. I have a friend who uses me up. One day that still small voice said, “You need to set boundaries with this one.” And so I did. She was calling and begging me to critique and edit articles, book proposals, you name it. Finally, one night I said “no” when she begged for the third time in one day to look over her manuscript one more time. I told her I was tired. Then she got all snippy and sarcastic with me. So yeah, boundaries with those who use and abuse are a good thing. Bravo to you and me for wising up! Thank you for believing in me, Debra. Yes, know when to hold’m and fold’m is key to keeping ourselves sane and happy. I’ve seen what happened with you up close and personal. Some people feel we’re created to be at their service! Good for you that you stood up and told her like it is. It is always difficult to… no, not letting go but asking your own self to stand up and confront a friend. It is easy to turn your back and walk away from relationships… but difficult to peer into eyes and tell someone the bitter truth. Liked the post… really liked it… makes me a bit bolder, surely. Arvind – Telling people what I feel is something that I’m learning to do, Arvind. I try to do it with compassion but I must admit sometimes that’s not always easy. I’m glad reading this made you bolder – I know the experience did that to me too! I respect you for doing that Corinne and I’ve done the same thing myself. It’s been six years now since I ended my 27 year friendship with my then best friend. I won’t bore you with that story but she did the exact same thing your ex-friend did. Played the victim when I ended it. Then one year later I ended a 25 year friendship because of the same thing, lack of respect for me and our friendship. I heard the best definition of forgiveness just this past weekend while watching a program. Forgiveness is “‘giving up the hope that the past could’ve been any different.” I love that and it’s so true. Most people don’t understand that forgiveness is for your sake and no one elses. You don’t have to invite that person to dinner but when you hang on to the pain, you’re only hurting yourself. I applaud you for ending it and I admire you for moving on. Here’s to a long and happy life with only those who respect you and your friendship. Thank you for sharing your experiences, AdrienneSmith40 . When I let go of three relationships in quick succession it made me wonder if there was something wrong with. On reflection, I realized that actually I had done something wonderful for myself that was long overdue. What you say about forgiveness is ever so true – we do it for ourselves inorder to move on. @CorinneRodrigues I did the same thing Corinne but you know what! I don’t miss them at all. I didn’t even look back and cry about what once was because they aren’t that person anymore and I didn’t want to be in the company of the people they are today. That just goes to show that you continue to grow and they don’t. Corinne, you must have read my mind when you wrote this post! Lack of respect is one of the things that I cannot tolerate. Friends do not treat each other like that and it is even worse when it comes from family. I am not proud to say that I have given 2 people the pink slip this week, due to their lack of respect. I just couldn`t take or tolerate it any more. I am not closing the chapter but I am moving forward. It makes me feel liberated and it something that should have been done a long time ago. Loved this post, direct and to the core. Have a blessed week! What a deep and interesting topic!! So many ways to look at this…but If I am a guest in anyone’s home, I will conduct myself as such and clean and pick-up after myself as often as possible. Friendship on the other hand can be a challenge for many of us because of the tribulations of life that sometimes prevent us from talking as much or spending time together. In any case, If we have love and respect for each other….all things will be easy to accept and understand. Thanks for sharing my friend. Thank you, Andy. I have no doubt that you’ll be a fantastic house guest. I think how people behave it has a lot to do with how a person is brought up and what they believe is acceptable and what is not. Love and respect are the bedrock of all relationships. Corinne, I understand completely. Although, when it comes to family and friends … we are expected to love unconditionally and do things for them without expecting anything in return. But after all, we’re all human and expect at least some appreciation if not anything else. On another note, I let go of a friendship too, but in a very different way from yours. I was extremely close to one person who made me choose between him and another person (that he thought was not treating me right). That is something that no one should be made to do, especially if you consider them friends! I thought I was an adult and could make my own decisions about whom I choose to stay friends with! Unfortunately, I stayed adamant and refused to pick one over the other and I continued to talk to the other friend (although I will admit to lying to the first friend about it initially). I was at fault as well, but our friendship dwindled and now we only wish each other for birthdays. I don’t know who gave whom the pink slip here, but your thoughts are appreciated. Aarti, thank you for sharing. Yes, we are expected to love unconditionally, but I’m wondering who made the rules for that 😉 When someone constantly openly or subtly put you down, or as in your case questions your judgement which is a form of putting down too, do we have to put up with it? Doesn’t that erode our own self-respect? But yes, I’ve learned to tell the other person what I think before moving on. I guess we have to let go some friendships when we get into a relationship. Its difficult , and there is a little line between who to leave and how not to !!! This had nothing to do with any other relationship. But I know what you mean. It’s never easy. I’m not sure why you think so, Rahul. , then I am not respecting myself….which is absolutely not acceptable to me. I really respect you for your decision. I like the way you have expressed it, Tapati. I feel completely understood. Thank you. I really appreciate your comment. It’s an honest post Corinne, there have been some people in my life, who expect too much from me, and take me for granted, It is hurting when you are treated badly, I am happy to let go of these kinds of people in my life, for fear of being exploited. I have no resentments, I have forgiven, but the relationship can never be the same again. I have no regrets, and am happy with friends who care and are respectful. Thanks for sharing! Thank you, Janet. You echo my sentiments exactly. I too don’t want to spend my energy on the negative. Respect is huge on my list– once it is lost-it is hard to regain. That said– forgiving does not necessarily mean inviting the person back into your life. In my opinion–if I lose no sleep over it, then I know I have peace with the situation. Time to move on. And if they are losing sleep?? I can’t control that for them…but they have to find their own peace with things. You made me smile, Jenn with the part about others losing sleep! Thank you for sharing. I really appreciate that. That’s right, Corinne. Forgiveness doesn’t necessarily mean forgetting all about what happened. The restoration of a relationship is also a different thing and must come from mutual consent and effort of the parties concerned. Absolutely right, Joyce. I saw no effort to restore the relationship in an authentic manner and hence my decision to move on. we have few if no houseguests, so I don’t run into this. But as to pinkslips, I don’t know that I’ve given out any — except to relatives who have no idea that they have a pinkslip. Though I’d gladly take it back if we could only communicate better. You’ve been saved, Sandra 😉 But I guess it’s always different with family. Corrine, I respect you for your decision and the stand you took for your own self. That’s incredible. Very few people on earth has that stomach to show a *pink slip* to a nearest friend. I support and honor you for who you are and what you did at that particular circumstance! Thanks, Sayantan. It’s hard but somewhere down the line I learnt to be assertive and to value myself – it gave my life a whole new meaning, I must add. “So where does forgiveness feature in all this, you ask? To me forgiveness is making peace with the past. It doesn’t mean that I necessarily invite that person in to my life again” That is EXACTLY what it means for me. I can forgive, but I do it for me not for the other person. I am not strong enough to cut the relationship. i can’t do it. i stay friend with the person. I listen and help as before, but I stop sharing a part of me. I know what you mean, Nikky. I used to do that too in the past. But I began to feel most uncomfortable with having to hold back and it made me less authentic. Without respect there is no friendship or any relationship. I always tell people that they do not have to love me, but they have to respect me. I am very careful with whom I spent my time. Life is to short to ask for more problems. I am blessed with very good friends and I try very hard to be the best friend I can be. I like what you said about life being short – it makes us choose to spend our time wisely and with people who help us be our best selves. I completely agree to your thoughts here. Respect is actually very important in relationships and we need to respect each others space. But sadly people tend to forget that thing so easily these days. Last year I gave the ‘pink slip’ to two of my closest friends because I simply could not handle their attitude of taking me for granted any more. And sadly today they go about telling people how much egoistic I am. Though there are some moments when I feel bad and lonely. I am literally tempted to call them and apologize but then I remember the hurt I felt when they treated me shabbily. What I don’t understand here is don’t these people feel something? Even in your case, your friend too tried to portray that she was a victim here. I am surprised at their attitudes here, but at the same I am glad I chose this way rather than the other. I almost felt an echo, Privy! I know what you mean about feeling bad and wanting to start over. However, like you, I’ve weighed the pros and cons of that and find that it simply doesn’t make sense to me. Thank you so much for sharing. Thank you for sharing as authentically as you always do, Melissa. I can imagine how these situation must have hurt someone as gentle as you. I’m glad that you were able to vent here and that you have moved on. I too have been able to see now the need I had to get out of this relationship and how much good came out of the hurtful situation. I completely agree with you Corinne. Over the years, I have been in touch with my high school friends, bringing them together for meet ups when I am in my home town. But, they have taken this for granted and expect that I keep calling them and make all the arrangements. I have had enough and stopped calling a couple of those who did not bother to call back at least for the courtesy sake. They fail to understand that I am doing all this for the love of the friendship I cherish. Yeah, I move on. Someone else had shared exactly the same experience with me a while back, Janaki. I’m glad you’ve moved on. It is when we let go of the old that that new can blossom forth. I used to hang on to friendships and sometimes I still do, but mostly I just love them from afar. Forgiveness is for me, so I don’t get eaten away by resentment. But like you, we don’t have to invite it in. I like what you said, Jodi – forgiveness is for me – so true and exactly what I feel too. This is a tough one, and I don’t pretend to know the answer. I have only given ‘the pink slip’ to one friend (who wanted fifty times more from me than I was able to give!) I still feel guilty about it, but know the situation was completely unworkable from my end. I too used to feel guilty, Elizabeth. But the more I’ve learned to value myself, the more I see these people coming from a mile away and avoid them. I walked away from some friendships in the past because these people have a habit of putting other people down. But surprisingly, I gained more good friends when I did. And they’re not only good friends, but they are people who see the good in a person, are supportive, and are very encouraging. Respect is very important for me in every relationship. If there is no respect, then it’s no use sticking with those people. I’d rather let them go than continue to experience conflict with them over and over again, which is detrimental for everyone. Thank you for sharing, Irene. I’m so glad that you have chosen to walk away from friends who put you down. It’s true when we move on, we make place for new and better things, friends included! Here’s the problem: Respect means very different things to different people. For example, I don’t usually make my bed at home. I find it to be a wasteful activity since it’s just going to get messed up again. I would not consider it ‘disrespectful’ if a guest did not make their bed at my home, and I would not consider going into their guest room to make their beds — actually, I would consider that a bit disrespectful of their privacy. I’m not saying this to criticize you but to point out that “respect” means very different things to different people. I think it would be more honest if everyone would simply come out and say what they are feeling in the moment instead of pretending like everyone’s supposed to know and agree with some universal list of ‘common courtesies”. If you tell people what you want then they can decide to do it or not and you can decide to associate with them or not based on that and nobody has to be a victim. When I visit you I will definitely stay in a hotel and we will have a BLAST!!! I would love to read your definition of respect, Linda. I agree that respect means different things for different people. I was talking about changing the bed linen as I do every few days in summer! I don’t know about you, but when I’m a guest in someone else’s home and I see them doing something for me, I offer to help. And anyway, this way just one of the things that happened. I am not going to list them out here for obvious reasons. Incidentally, precisely because it’s difficult to list out common courtesies, I’ve taken a decision not to entertain house guests who are not family. So there was no question of you staying with us, anyway. Happens with most of us Corinne! Yes, friendship is always a two way process, which requires trust and respect the utmost. I think I would have acted the same ways if I had been in your place. Perhaps such people don’t really need your friendship and it’s better to let them go. I guess I would have forgiven and even forgotten over the episode and friendship really soon and moved on, which I know isn’t all that easy for many. A lot depends on the kind of friendship we share also. I realize as I age, I make fewer friends and am more content and happy with the older ones I have offline, or the new online contacts I make. So, for me it’s never actually happened that a friend would just ignore me and not help out when required. But yes, had it- I would have done what you did. Thank you for sharing, Harleena. I too realize that the older I get the longer I take to make friends. Right now I’m in a happy place with my friends offline and online. Letting a friend go usually comes in the form of “out of sight, out of mind”, and I am the friend that is usually let go. Of course since I do not have that many friends anymore, it makes dealing with this so much easier. Unfortunately, it doesn’t make the hurt any less deep. That’s a sad way to lose friends too, Susan. I find the older I get the less friends I need. But yes, you are right, it does hurt all the same. I’ve always believe in forgiving but not forgetting… If you forget what was done to you and pretend that it never happened, you also forget the lessons that experience taught. That’s absolutely right, Glori. Thank you. Wow, I think I would have been upset too. But knowing me, I wouldn’t have picked up after them or made their beds in the first place! LOL! I would have told them to do it themselves. Sometimes you have to be verbal with people for them to understand. It is remarkable that they wouldn’t get the point automatically, but some folks need to be told things I guess. It sounds like perhaps there was a pattern of disregard though Corinne. I’m sure this wasn’t the first incident and this was probably your last straw. I have parted ways with friends over the years when I felt I was being taken for granted or mistreated and it usually took me awhile to do if the friendship was a long one. No one wants to lose a good friend over foolishness. But sometimes it’s good to establish boundaries and guidelines. If they are broken time and time again, you have the right to go your own way. I do hope you can come to some peace over this. Thanks for sharing with us. I get what you’re saying when you say you wouldn’t have waited, Tameka. I’ve learned to do that now. Yes, it was a pattern that I hadn’t really examined, until it hit me in the face, Tameka. So glad it did. I’m not so slow any longer 😉 Thank you for sharing so beautifully as you always do. I will try in my power to resolve the conflicts or misunderstand but once I know there was nothing can be done. I will walk away and never look back. –I like to make things crystal clear so there was *regret* when I look back. I also have been in the other side of the coin and the person just shut off without letting me in so it was hurt especially you had no idea what you have done wrong. Thank you for sharing. Yes, I think it’s important to let the other person know – but I must admit it’s not always possible. Thank you for the tag. I have had a few people when I was working as a teacher who pretended to be my friends to my face, but, when push came to shove, they showed their true colors. It has taken me much longer to forget the injustices than to forgive them. I tend to be a very trusting person, and these experiences hurt a lot. On the flip side, though, I have true-blue friends who have stuck with me through sorrows, tragedies, and the happy times. I treasure them and know how God has blessed me through these relationships. Great post, Corinne, and wonderful food for thought. Thank you for sharing, Martha. Yes forgetting is sometimes so much harder than forgiving, isn’t it? Perhaps we are not meant to forget, but to remember the lessons that these difficult experiences taught us. Much like how we remember the first time we got our hand singed when we touched something hot! I’m glad that you and I have friends who continue to love us no matter what. There are some friends for all seasons, some are only a summer fling, while some last a lifetime. I used to mourn people who came into my life with a blaze and left me quicker than a hiccup After years of wondering why, I realized some people are not Ever Ready batteries and not meant for all my chapters nor I theirs. We come into one another’s life for a reason and often that reason stops making sense as we evolve. I wish it weren’t the case, but it is. I have lost friends over the years, some I will continue to mourn until there is dirt over my grave, while others I am relieved I no longer have to pretend I like. Friendship, as love, is part of the circle of life. Brenda, only you can put it so beautifully. Yes, I’ve realized that being ‘friends forever’ doesn’t apply to every one. I thought I was so wrong to let friends go, but I’m discovering that friends don’t always grow at similar levels and we have to move on. The circle of life, as you say! I had a friendship once that started to become not very mutual after awhile. My friend would not really be interested in talking with me as much as having me watch her kids when she wanted to do things. I enjoy helping my friends out, and when it comes to watching their kids that’s great because it usually keeps my kids occupied..but when it seems their only aim for our relationship..that’s when I start distancing myself. I’ve never given anyone a “pink slip” before…I’m more passive aggressive and just start contacting them less and less. Confronting a friend with what is bothering you in a relationship is undoubtedly a better approach though…it gives the potential for reconciliation just in case there is a misunderstanding or things can be worked out. Thank you for sharing, Jessica. There’s nothing worse than feeling used in a relationship. It takes much more to confront a friend – you’re always afraid to losing a friend, but I’ve realized that it’s better to have self-respect than to feel used, angry and lose the friendship anyway. I am in a rush now. I will read the article later. Would love to hear your comments when you do, Sigrid.